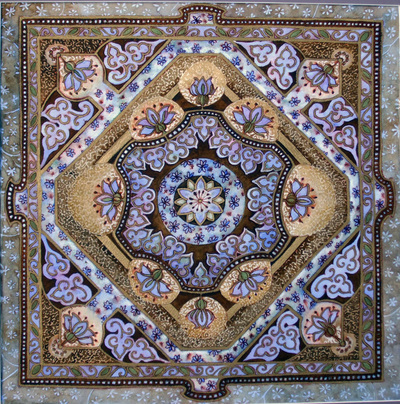 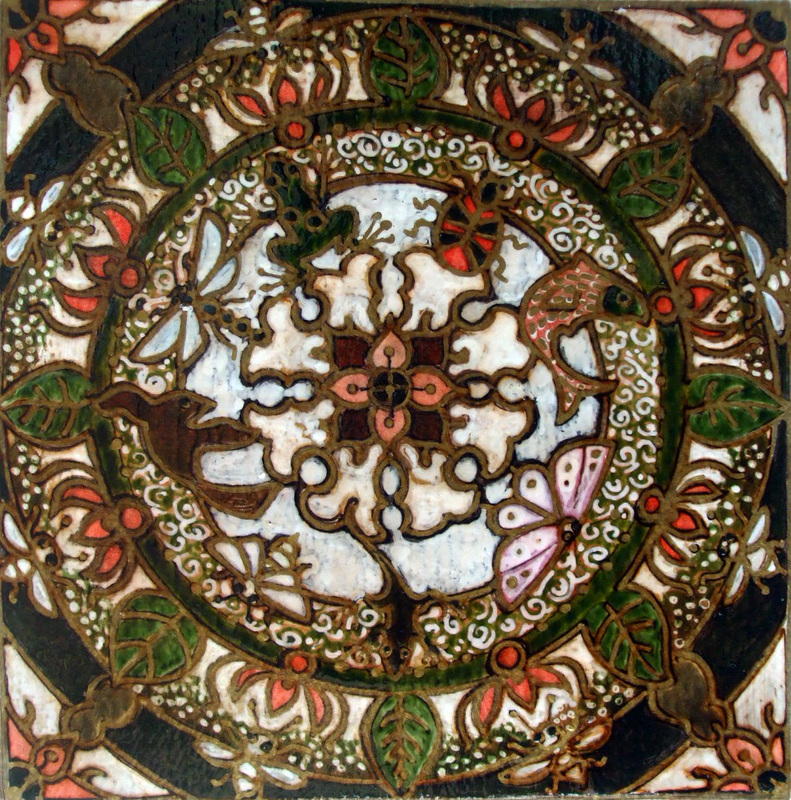 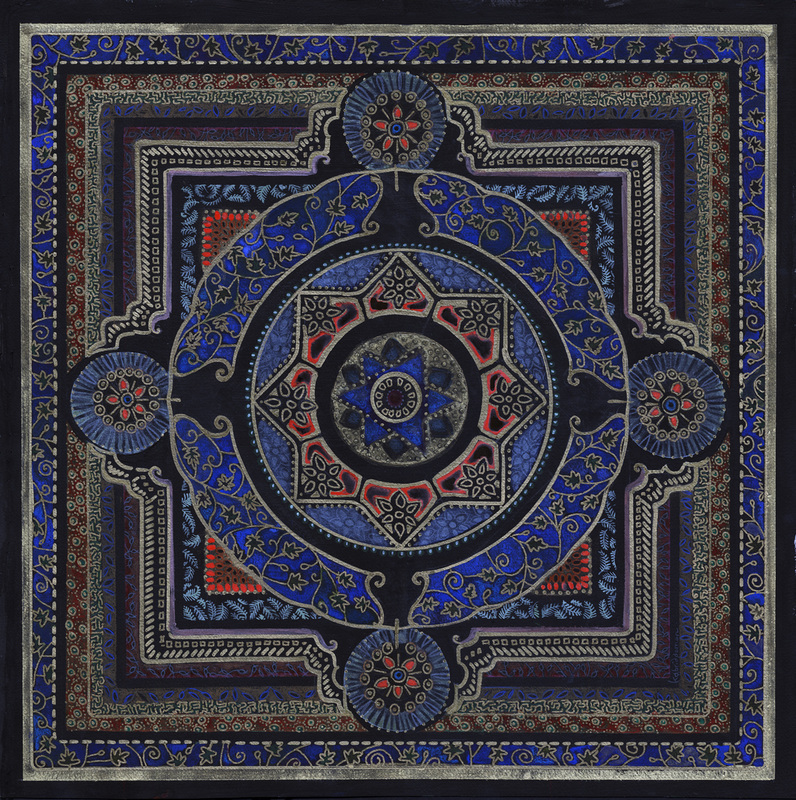 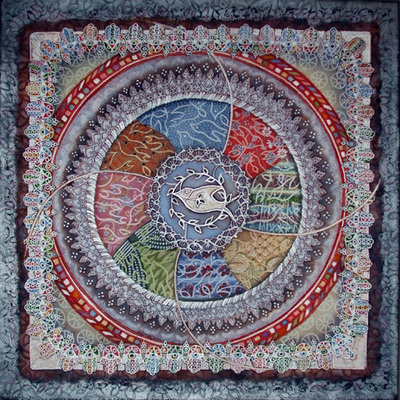 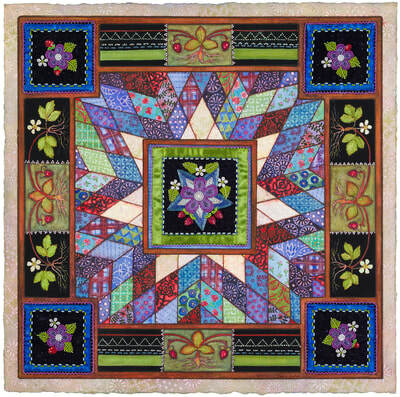 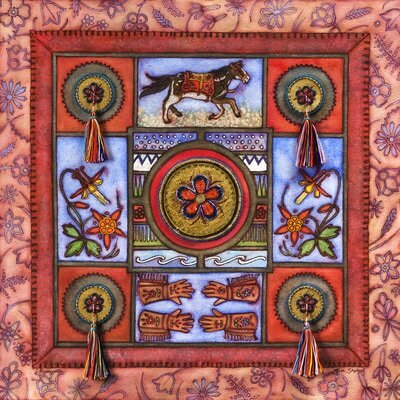 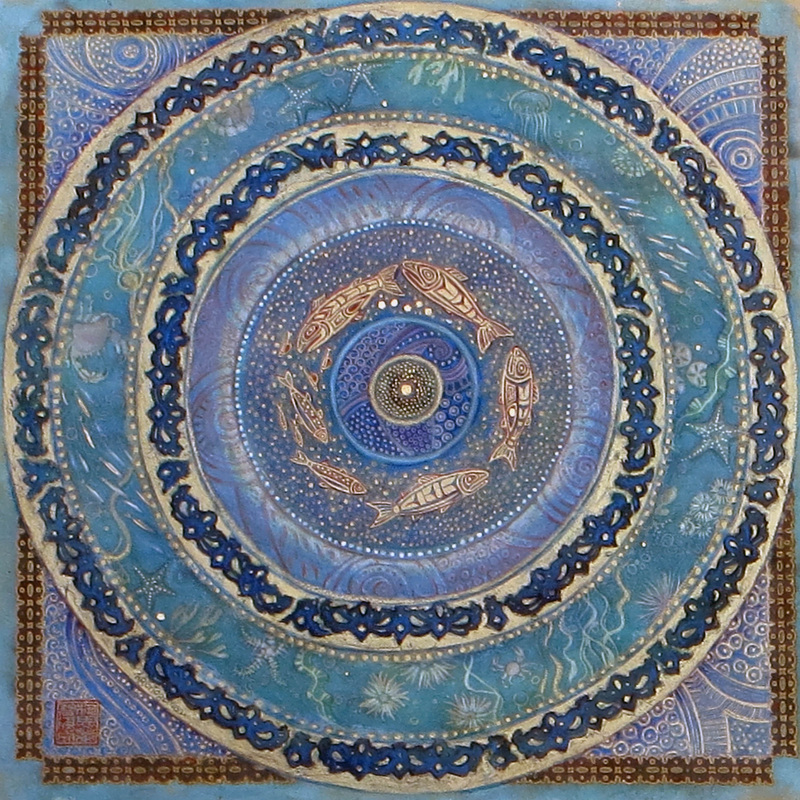 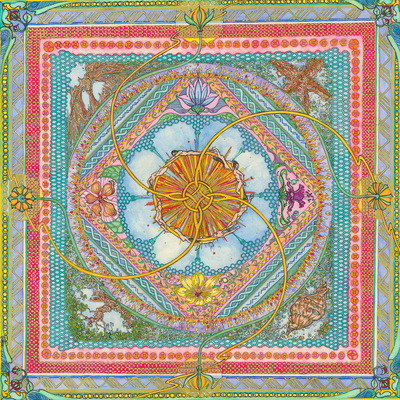 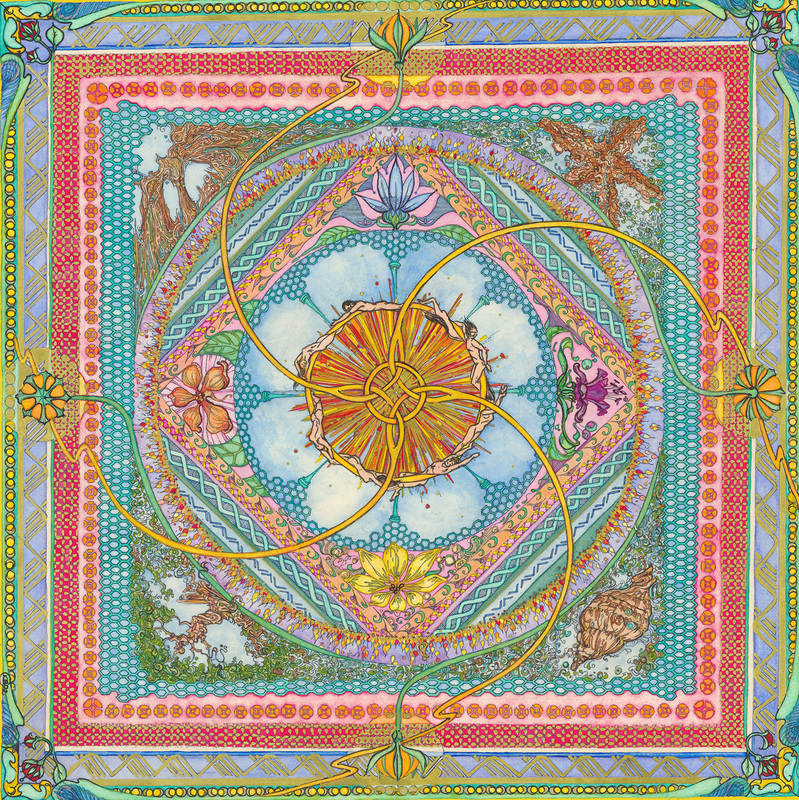 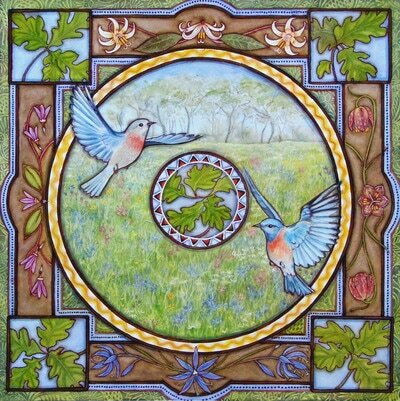 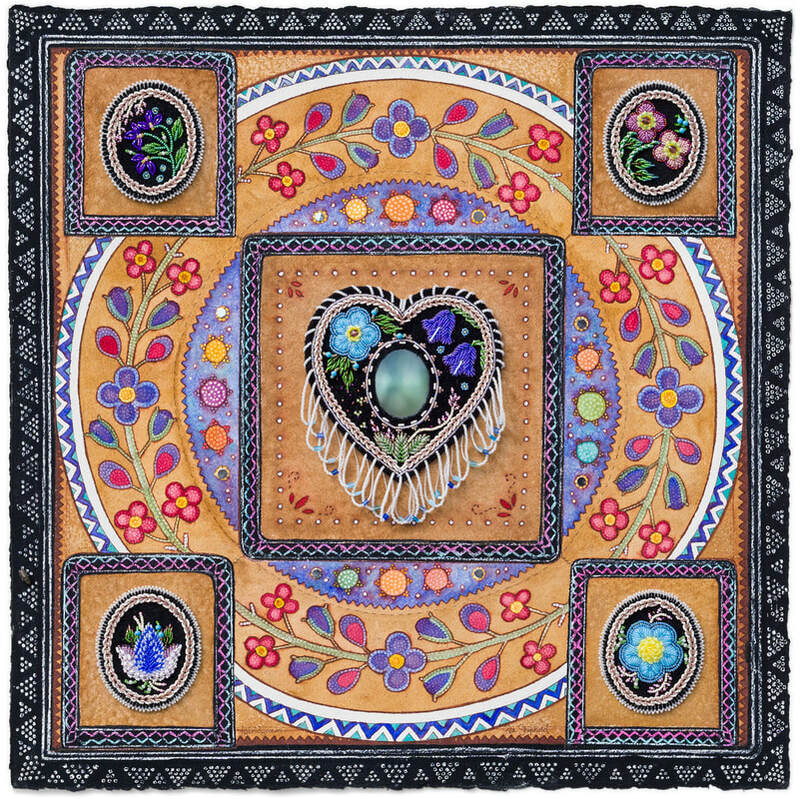 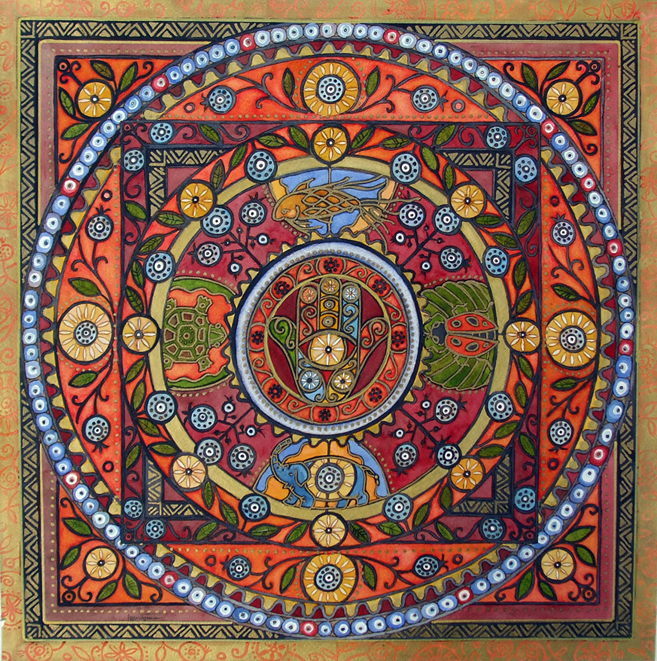 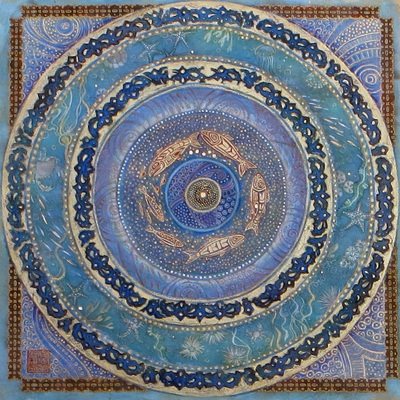 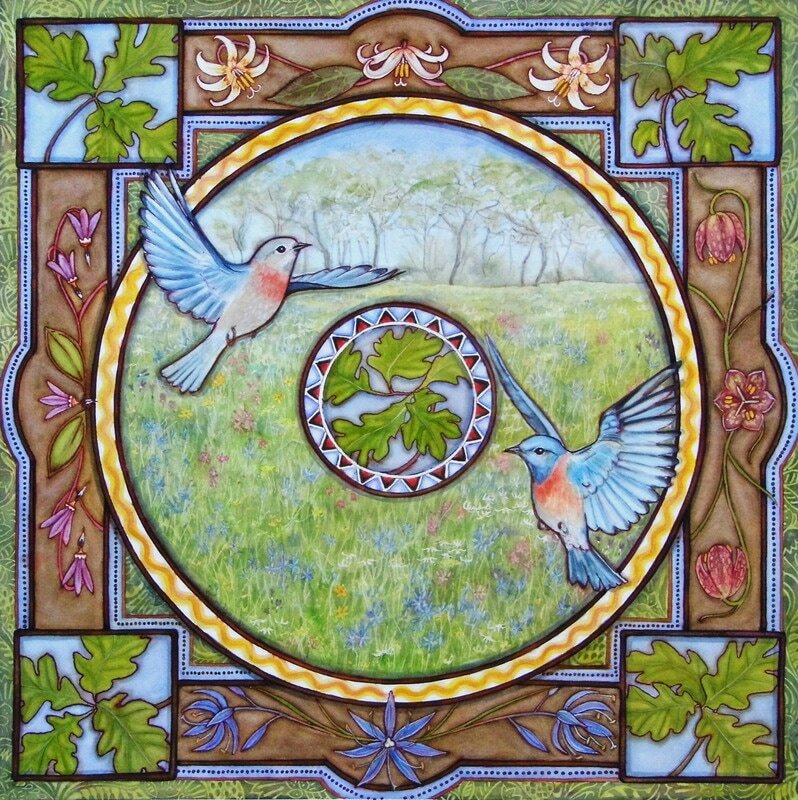 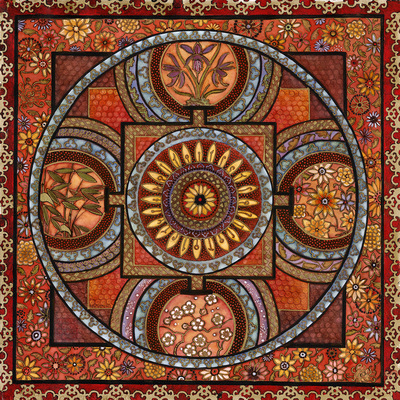 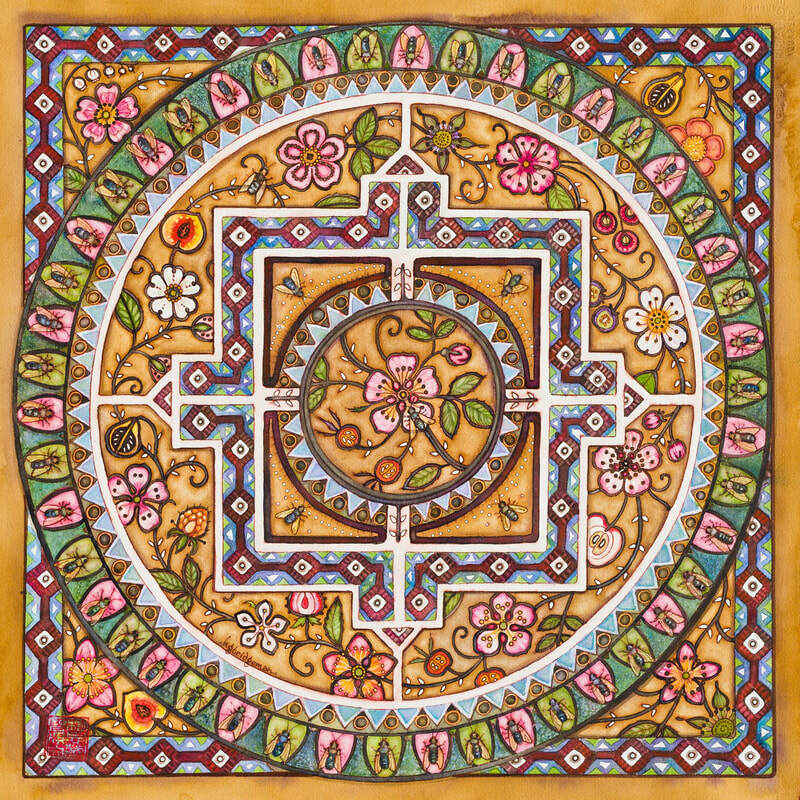 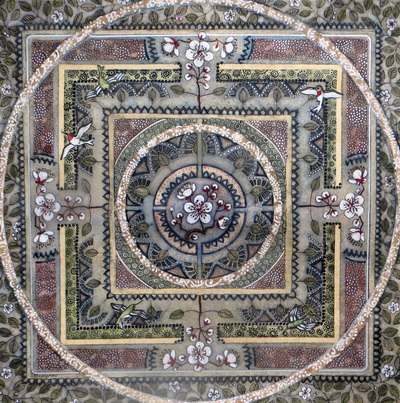 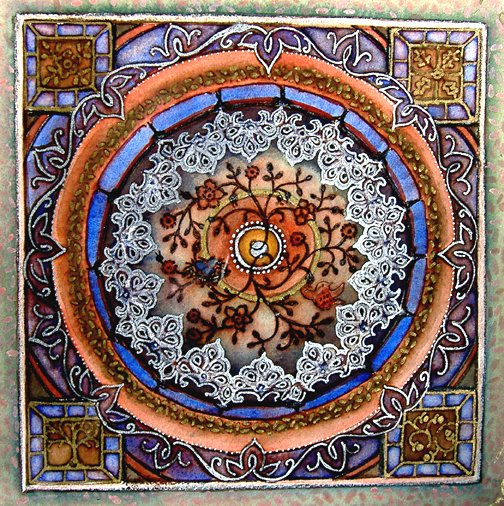 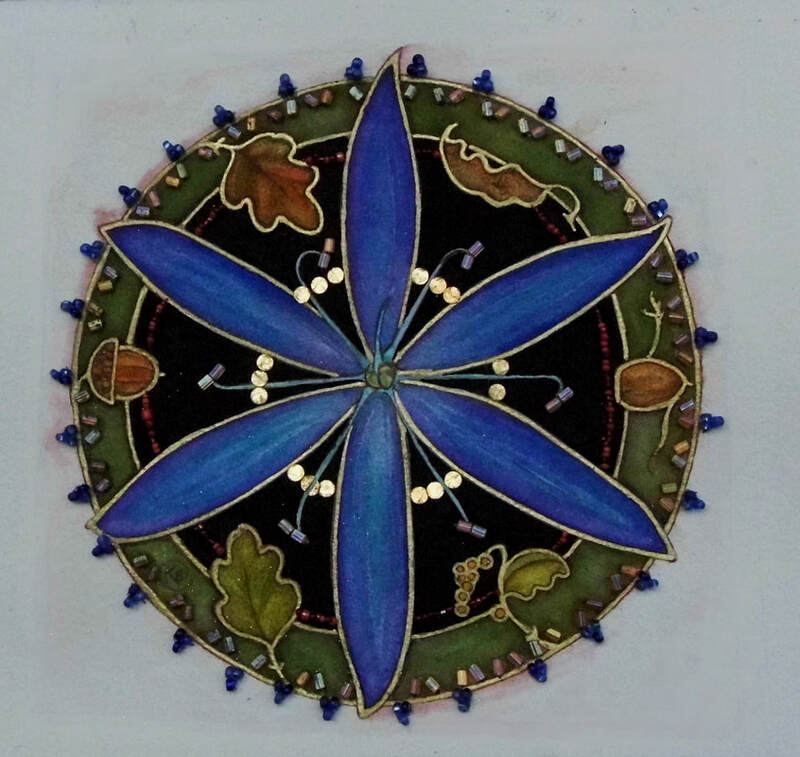 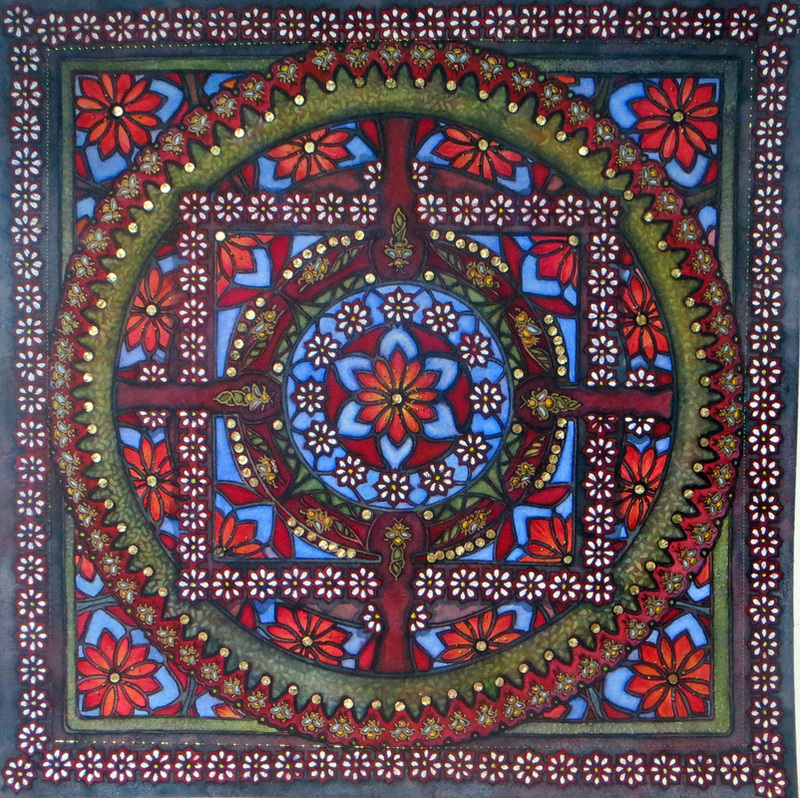 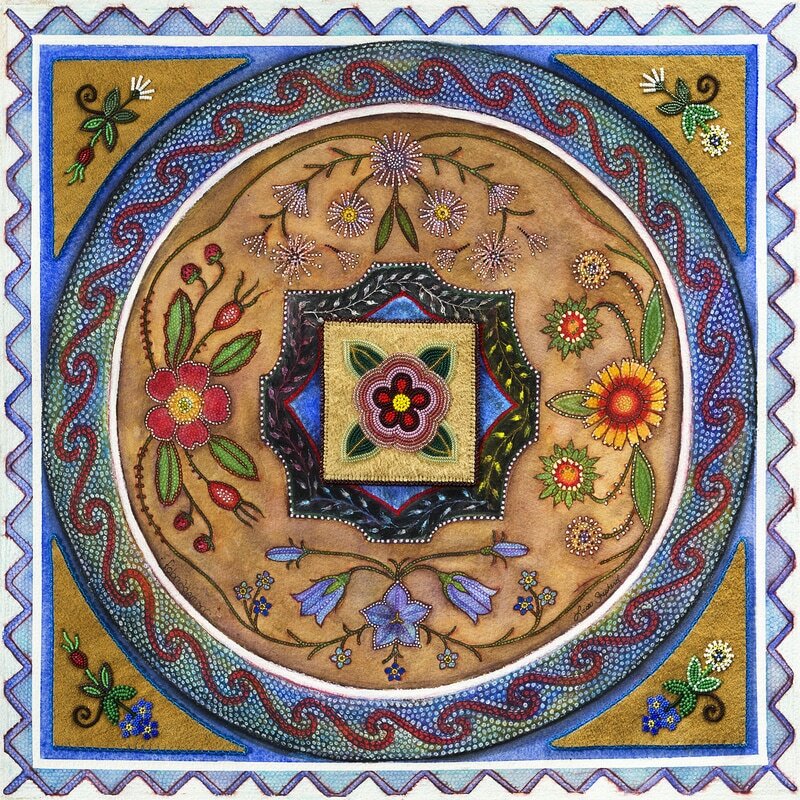 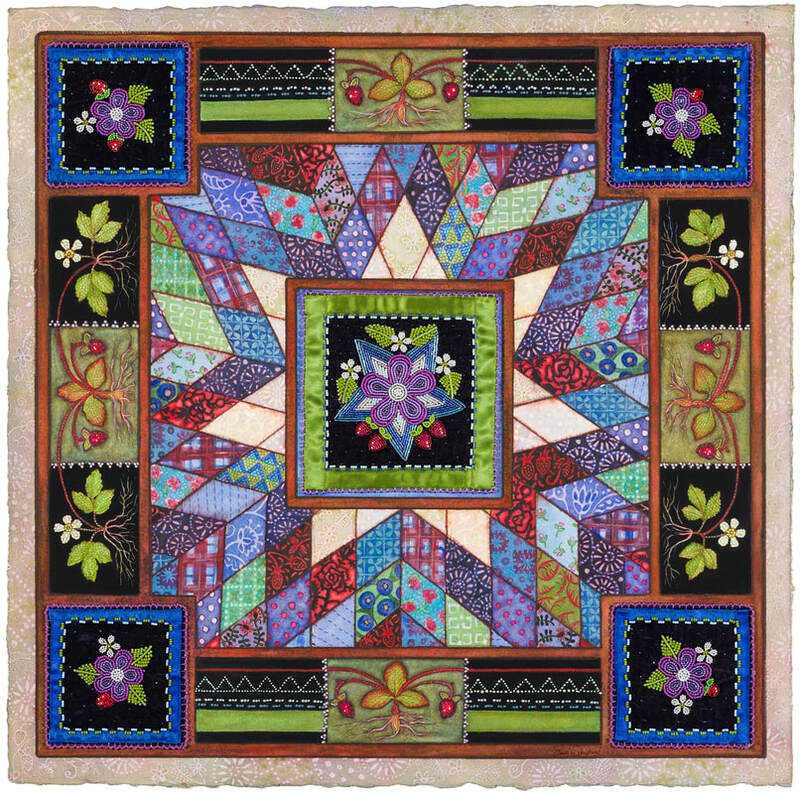 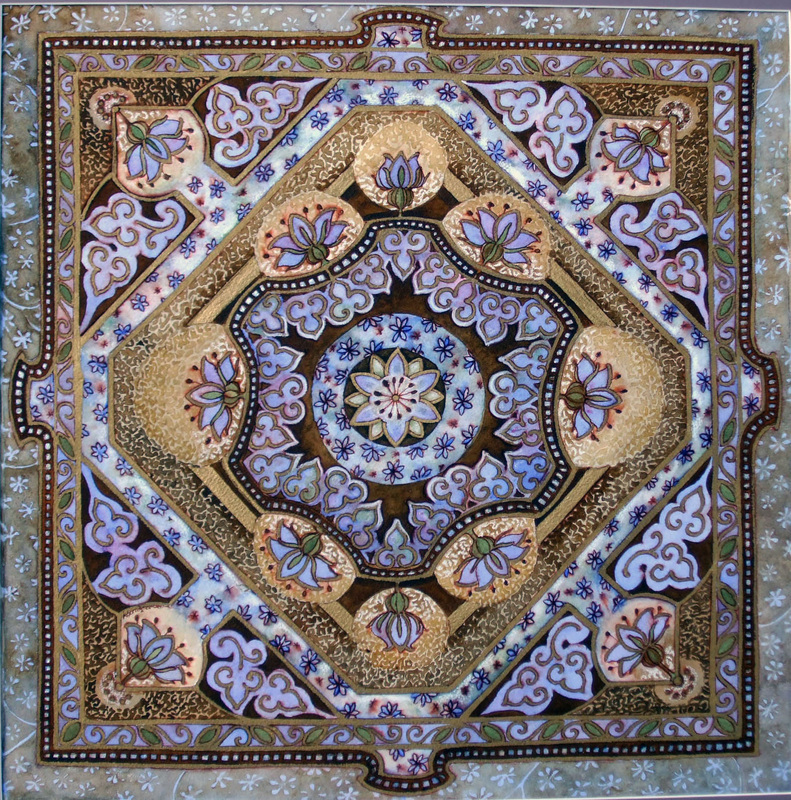 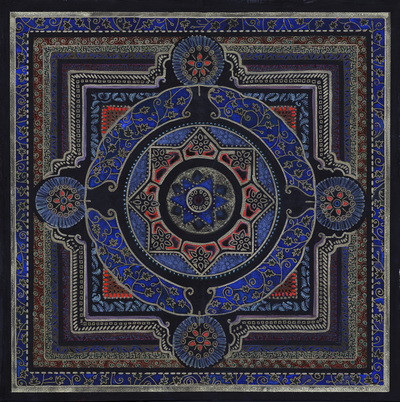 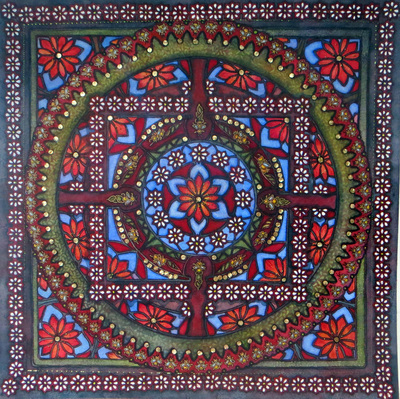 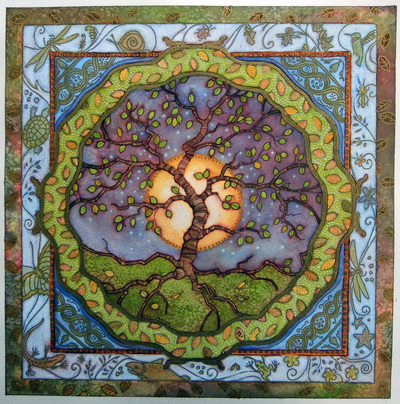 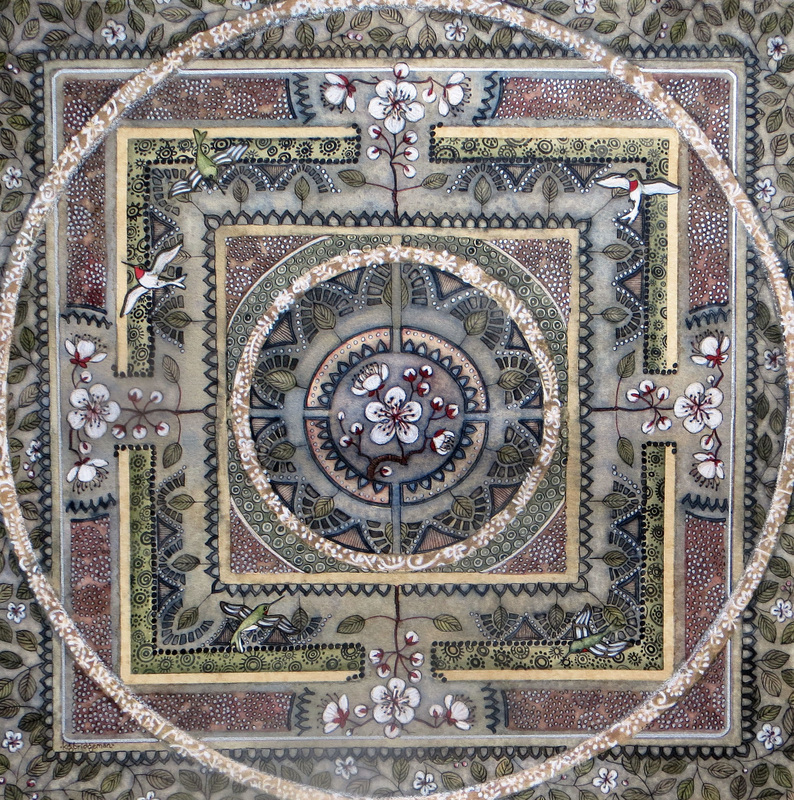 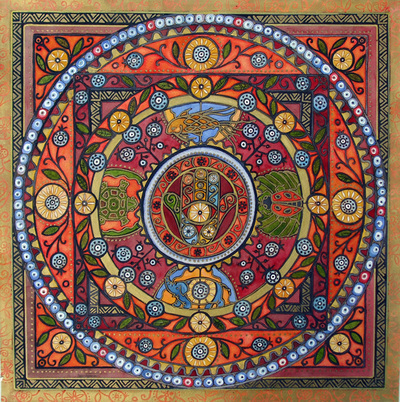 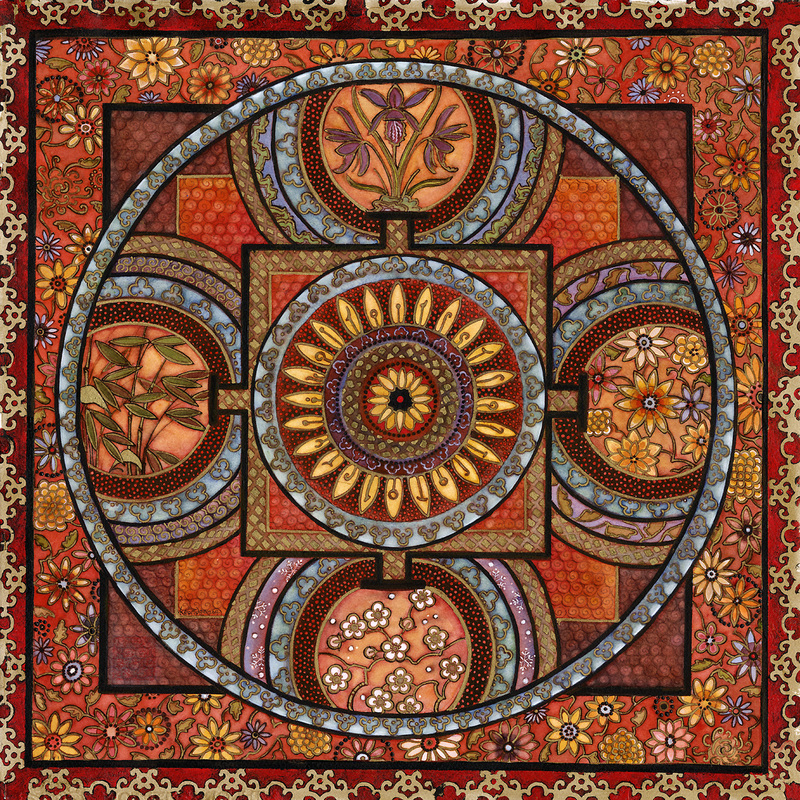 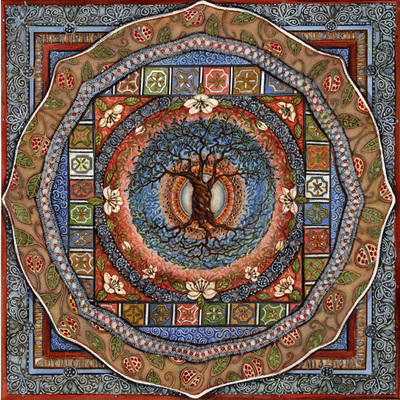 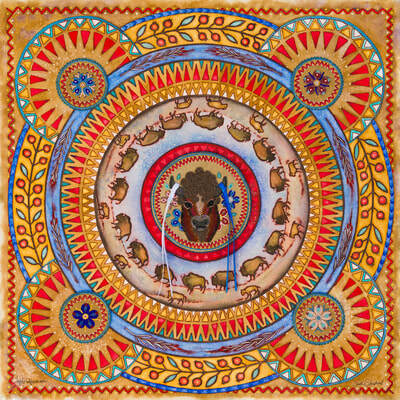 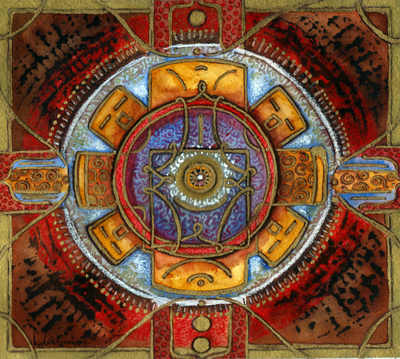 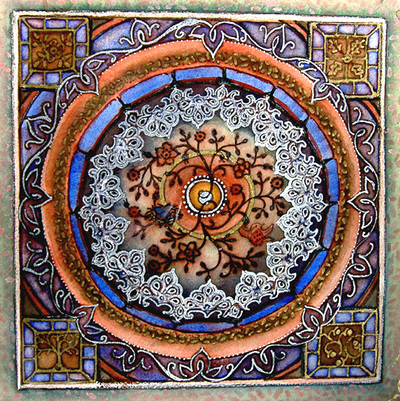 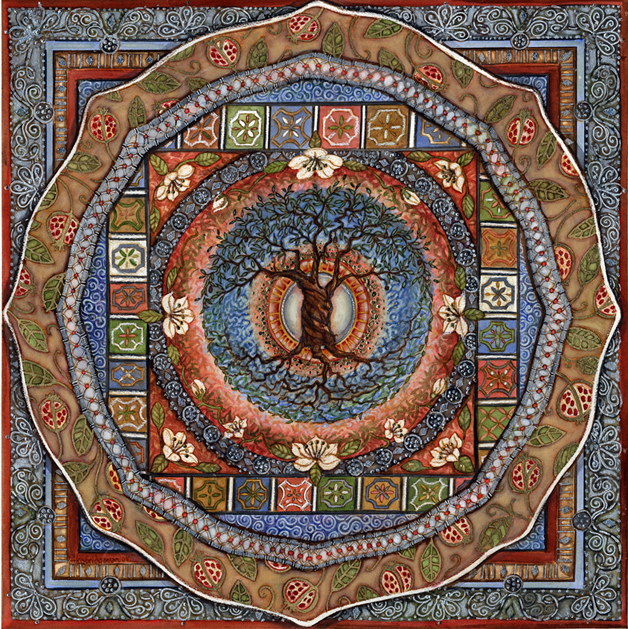 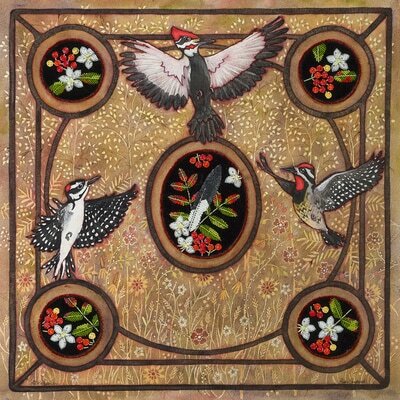 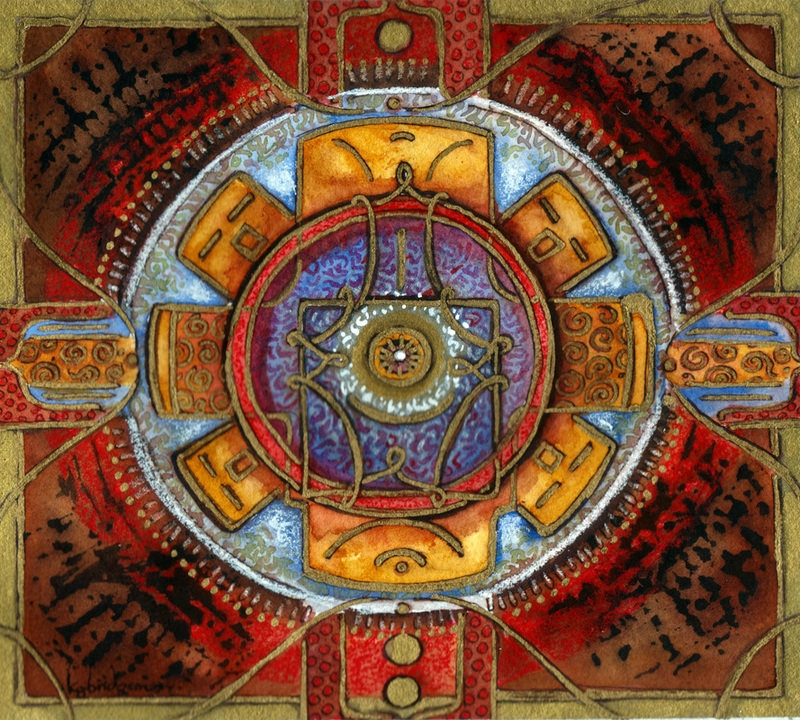 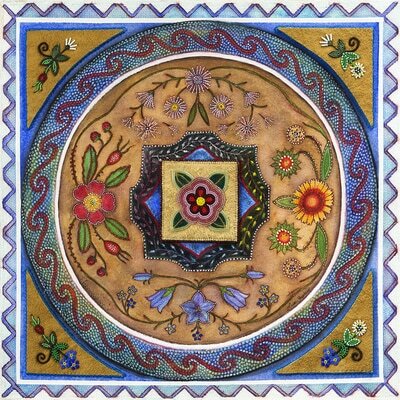 Kristi has been creating eastern inspired Mandalas since the 1980's. 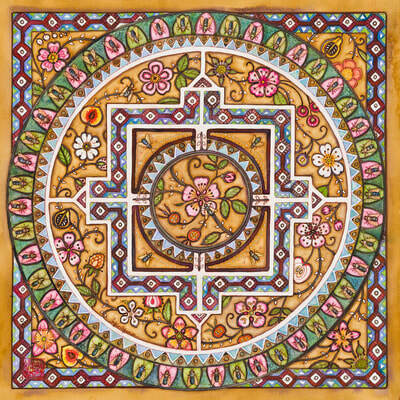 Meditative and therapeutic, Mandalas are a perfect platform for an artist who likes to explore and experiment in a variety of medium. 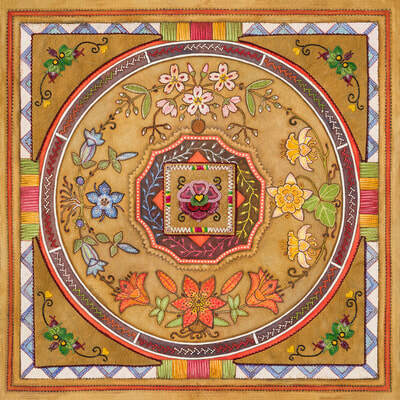 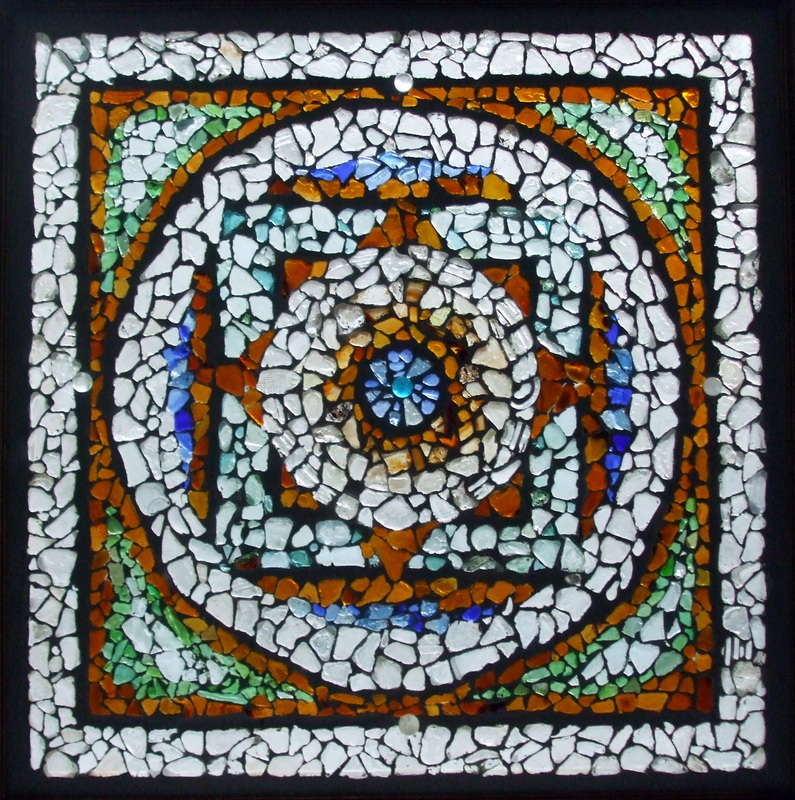 Each mandala has its own inspiration, theme and cultural influence. 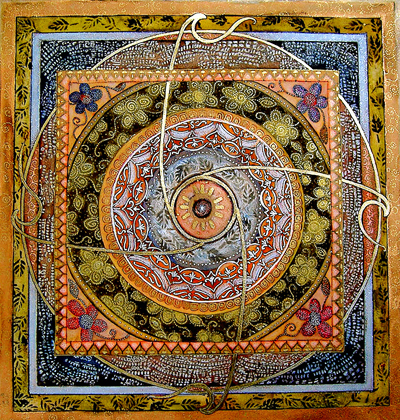 One mandala might be planned with intense research, others flow from pen to paper without premeditation. 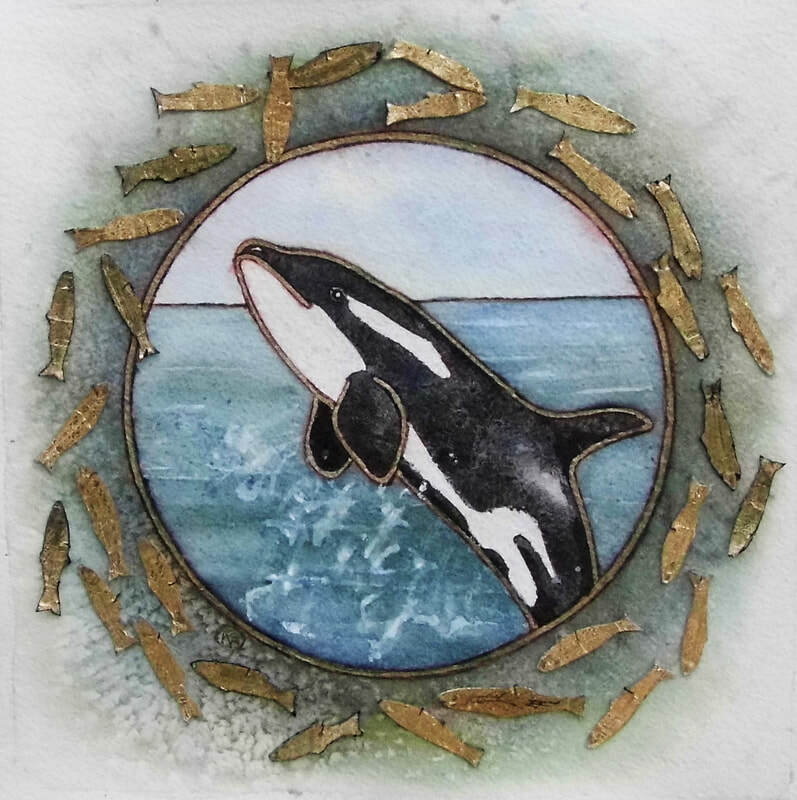 With a few exceptions, these pieces are executed on watercolour paper - primarily with sepia ink, watercolour, metallic inks, wax resist and gold leaf. 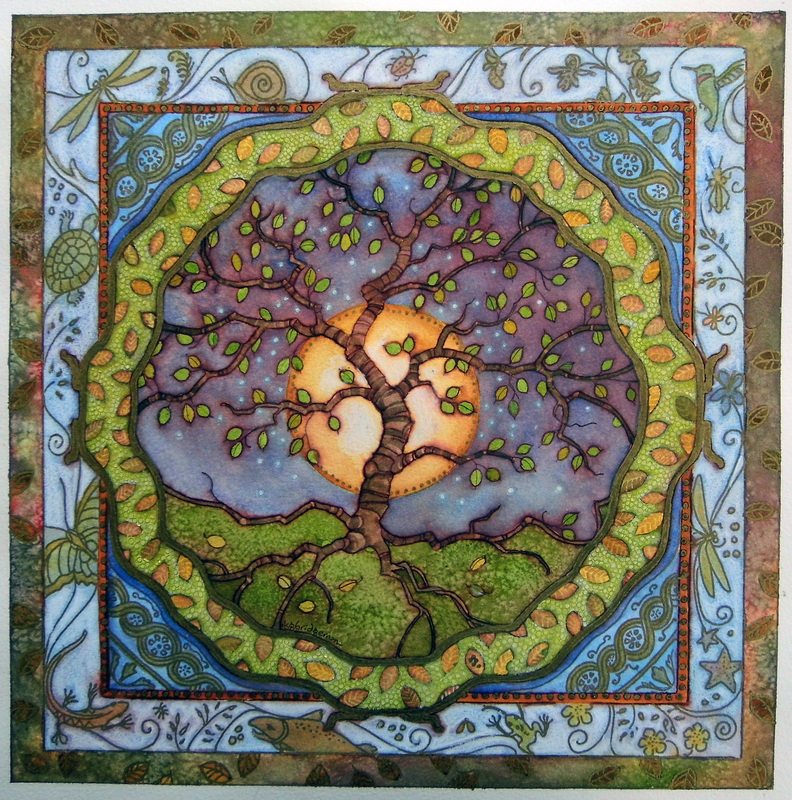 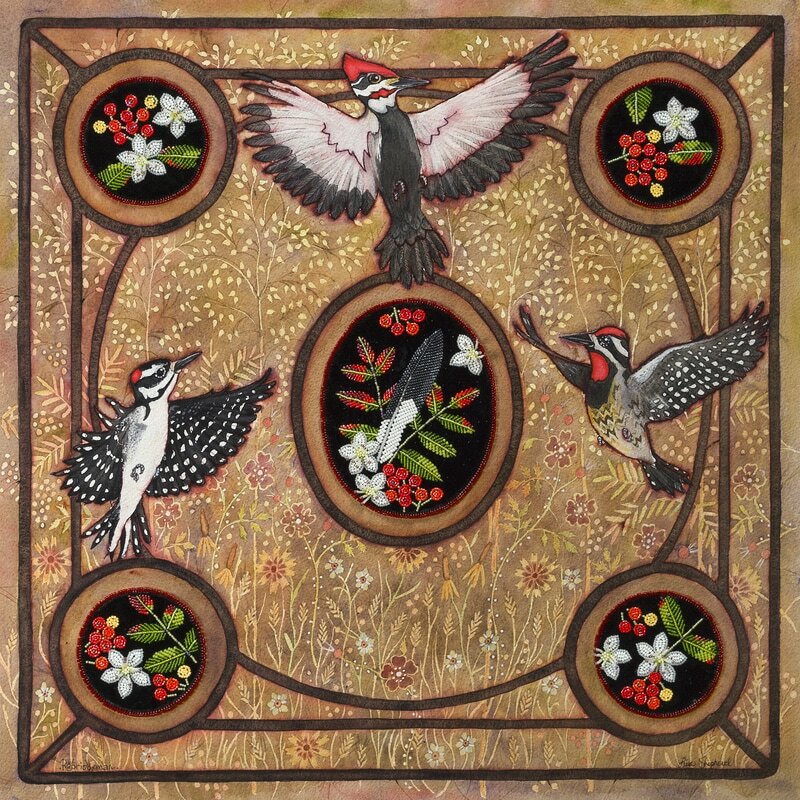 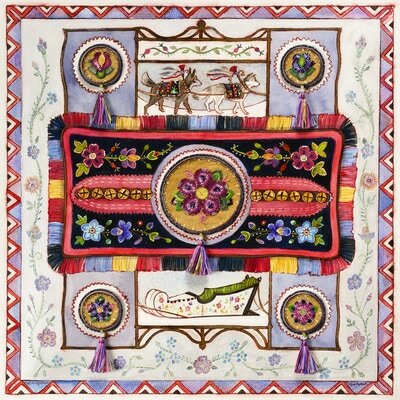 The standard size is 30" x 30" when framed. 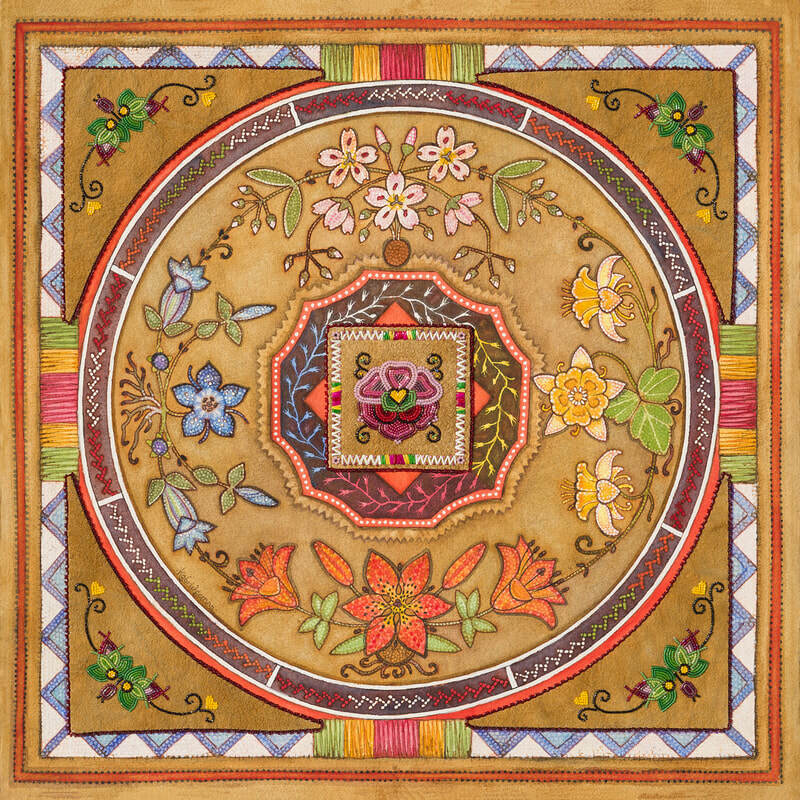 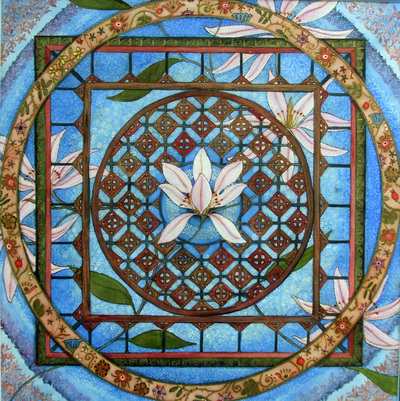 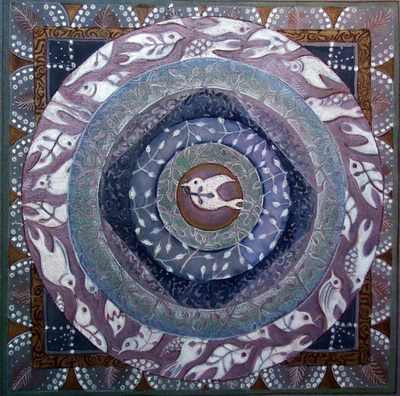 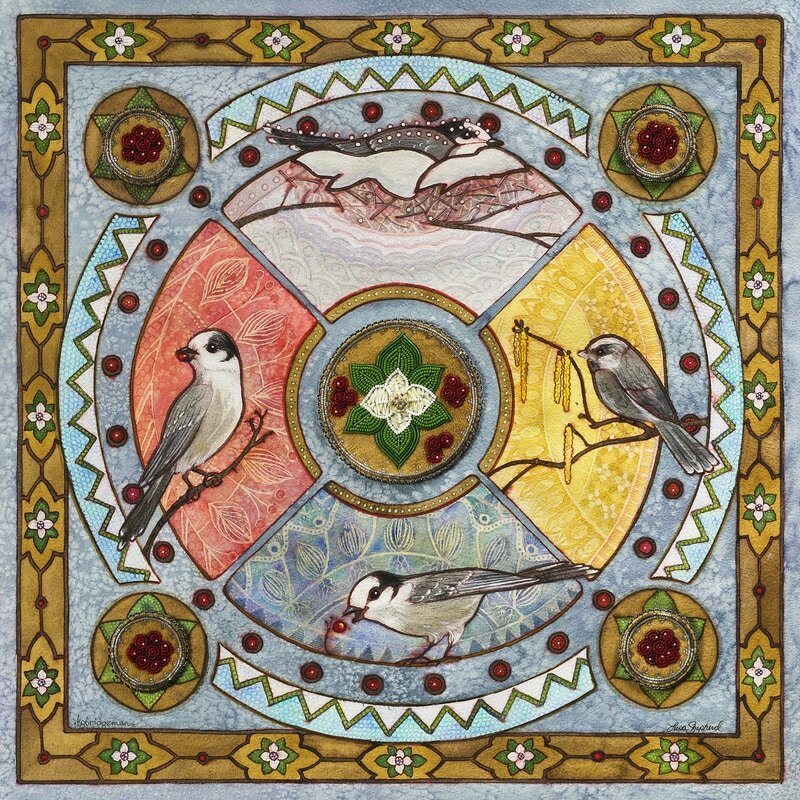 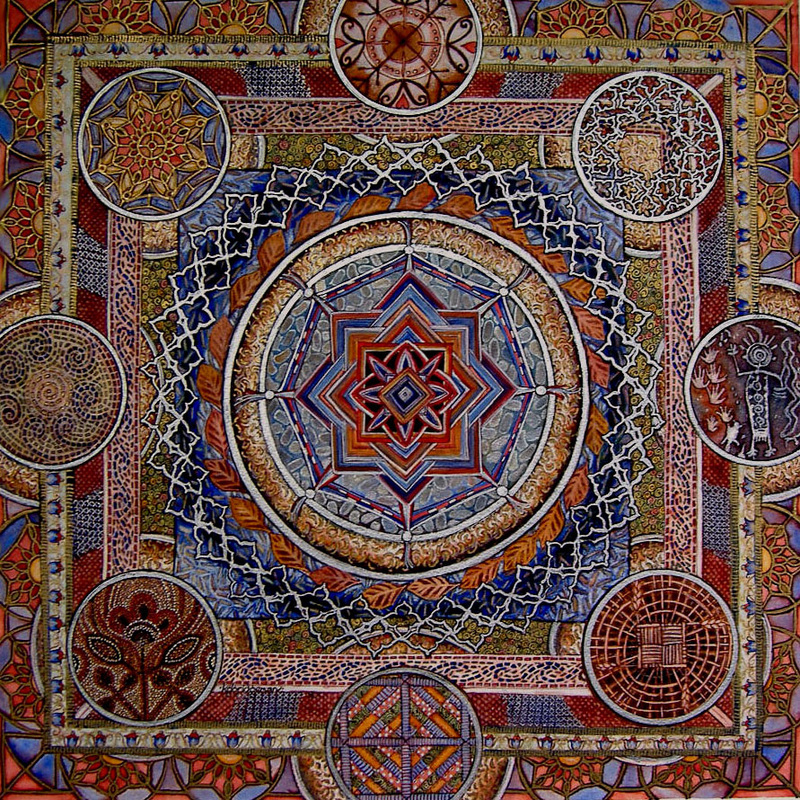 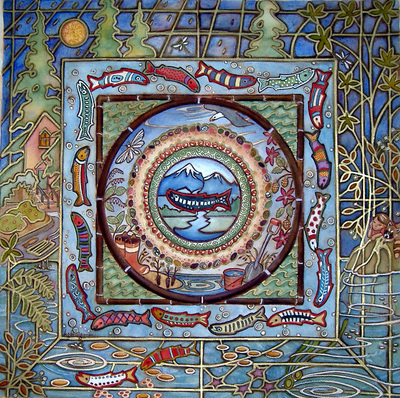 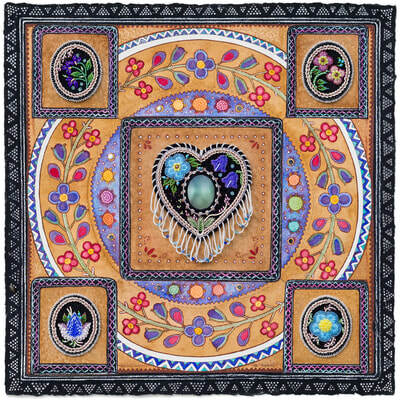 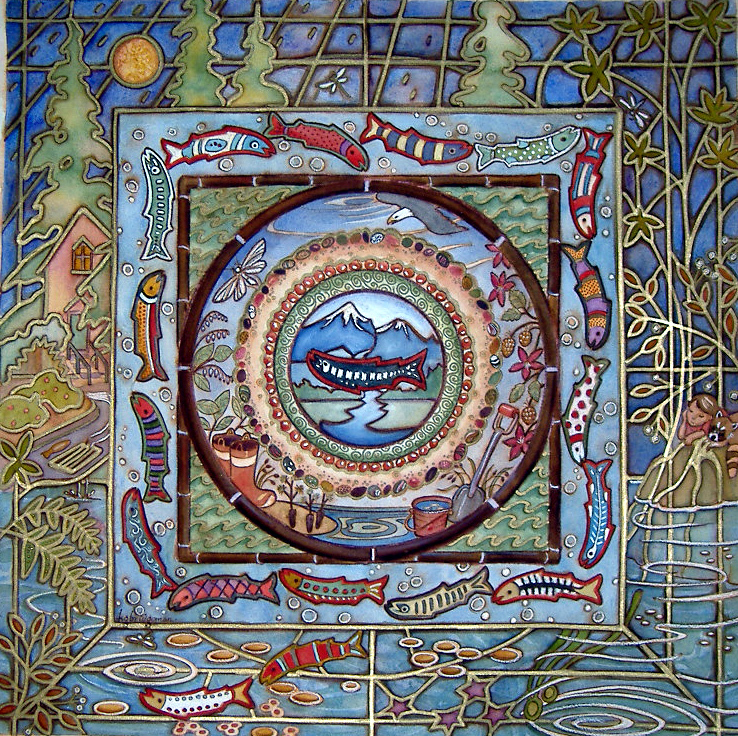 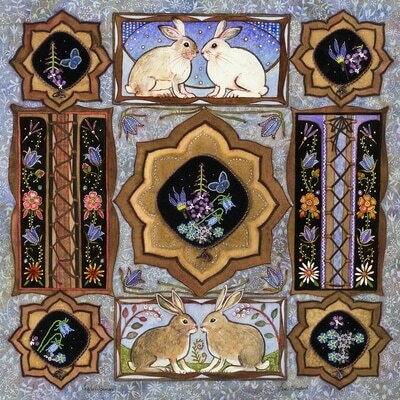 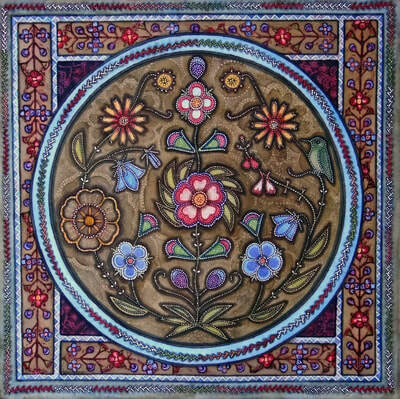 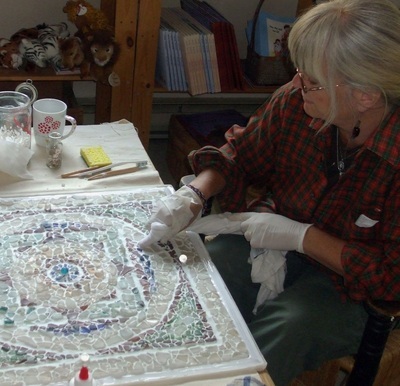 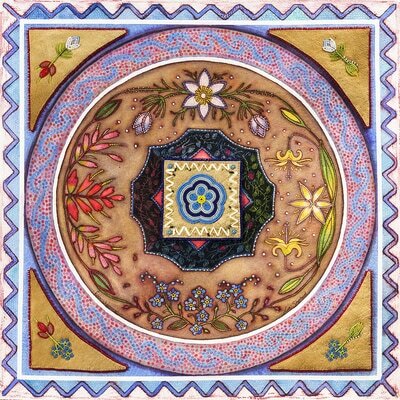 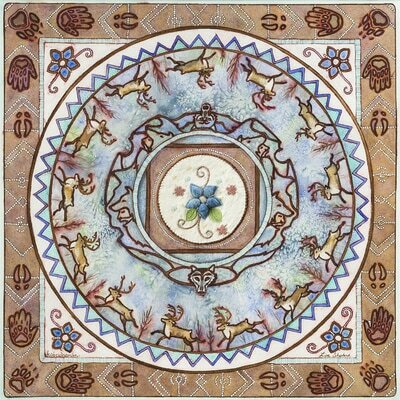 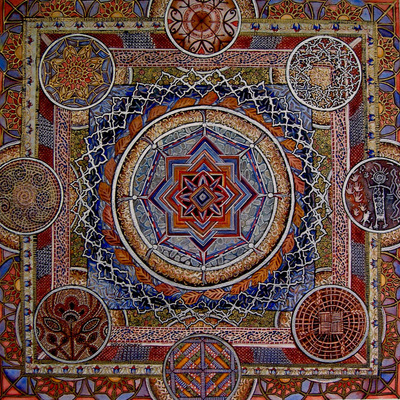 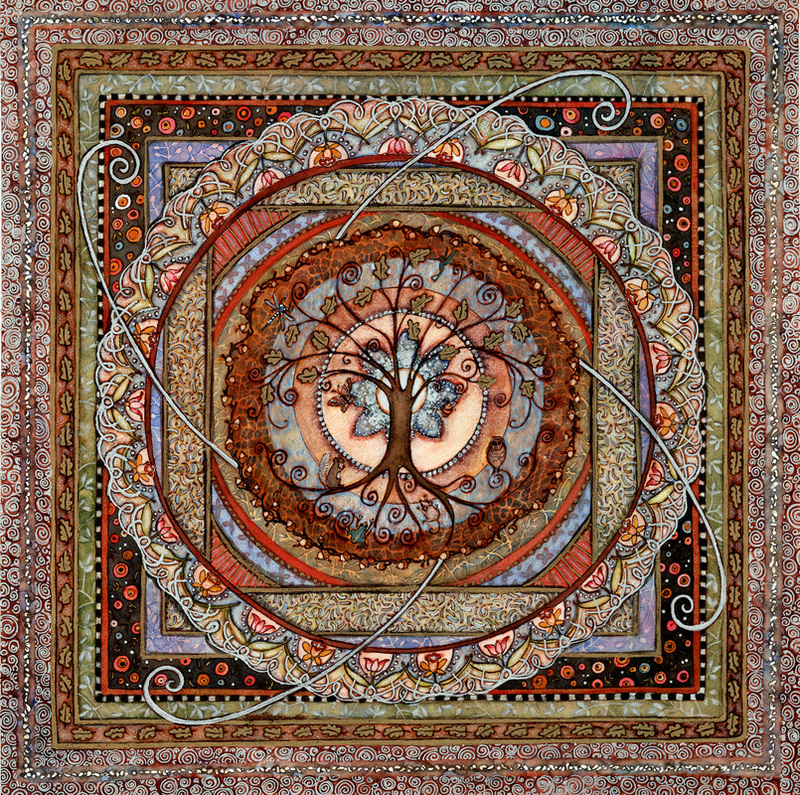 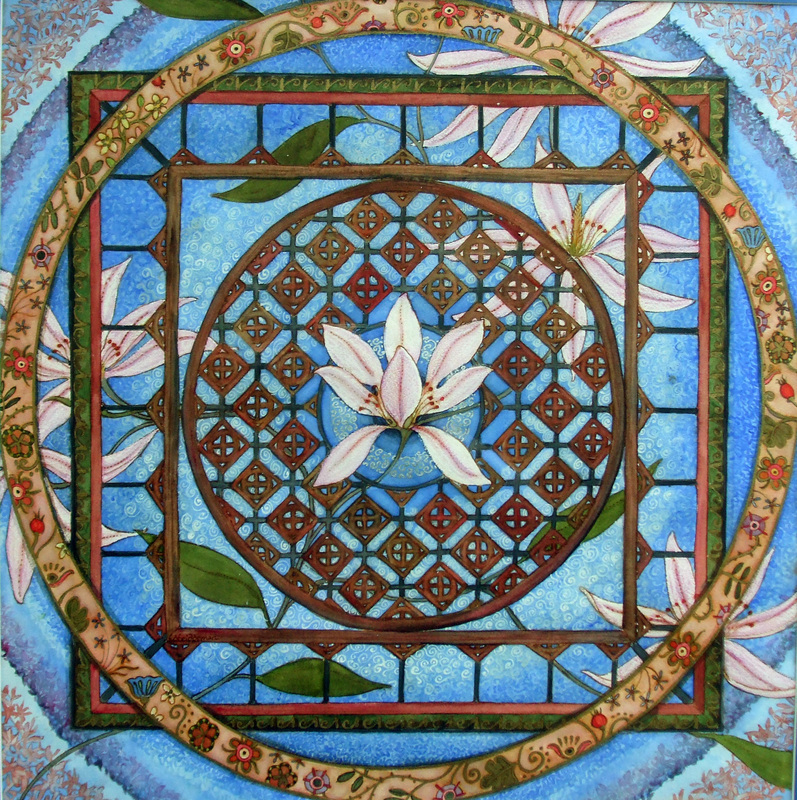 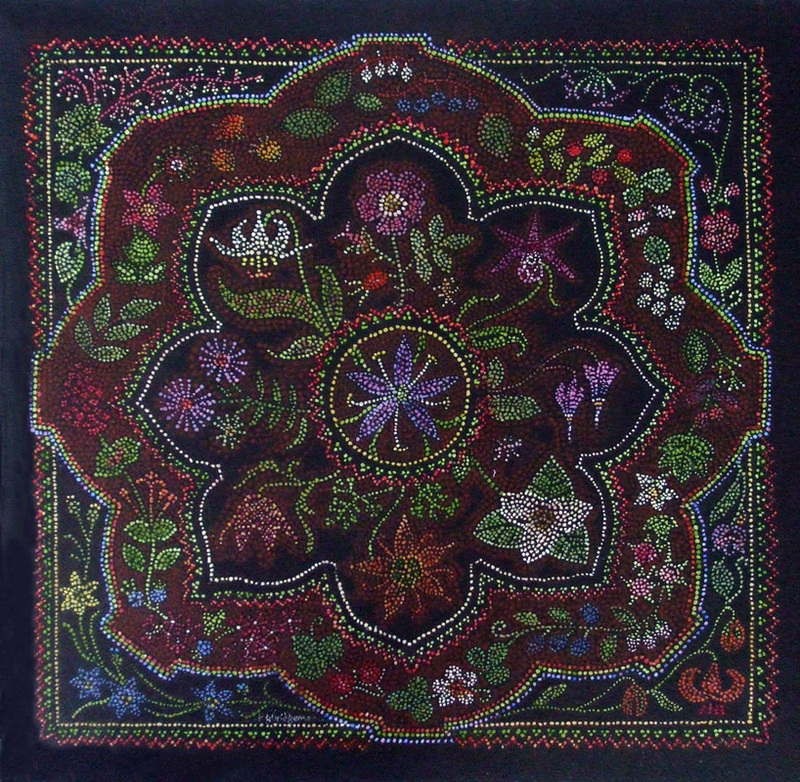 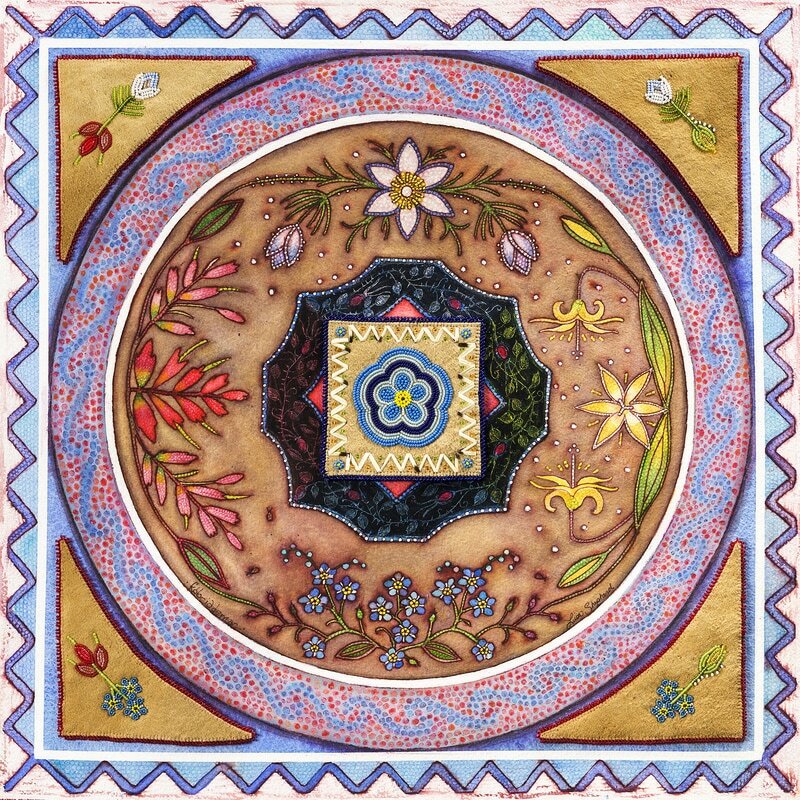 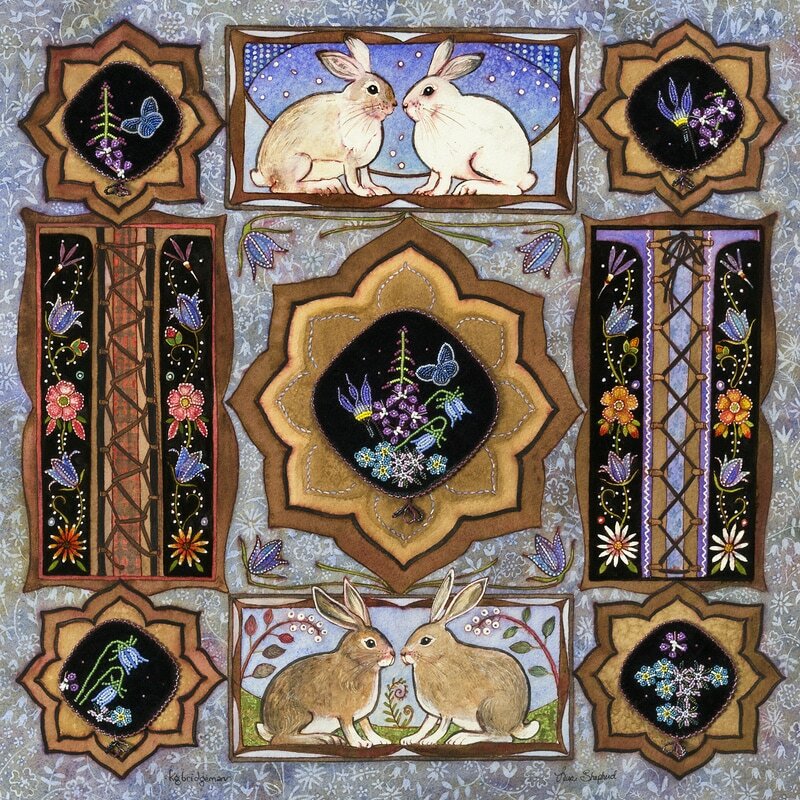 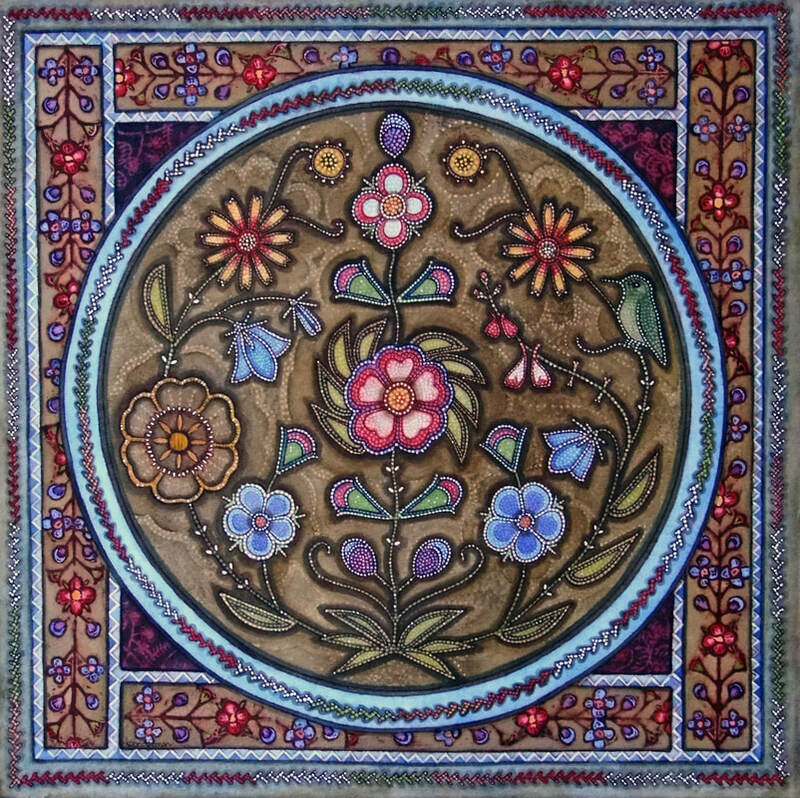 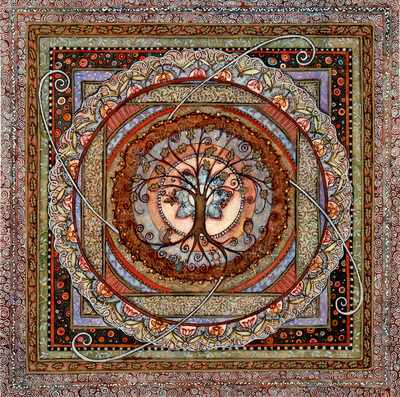 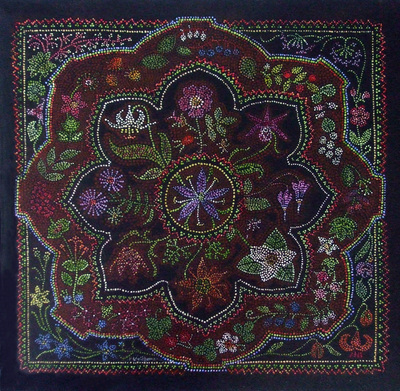 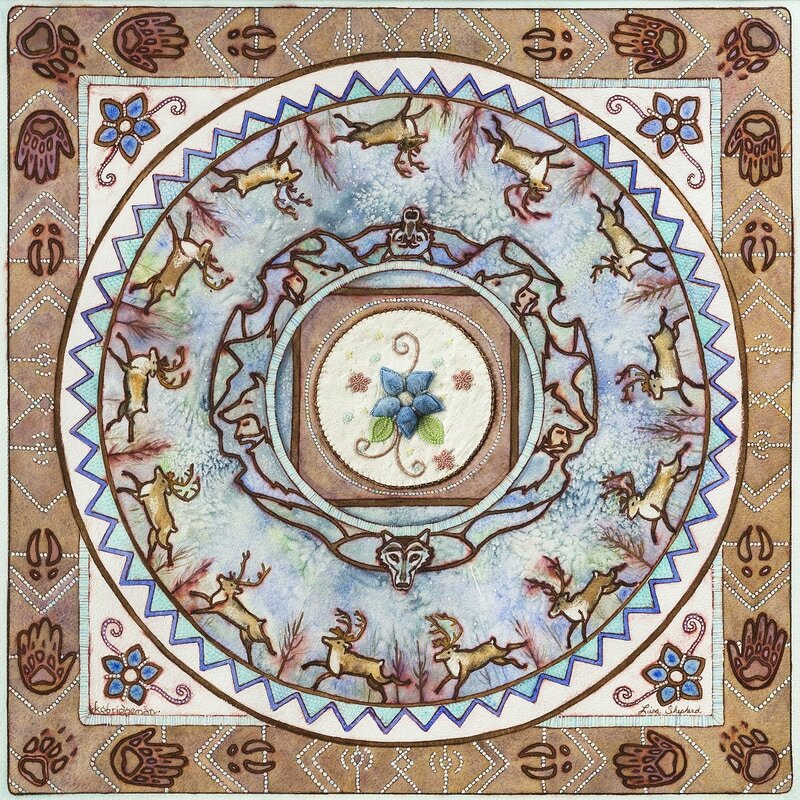 The artist has created hundreds of mandalas through the years, for pleasure and by commission. 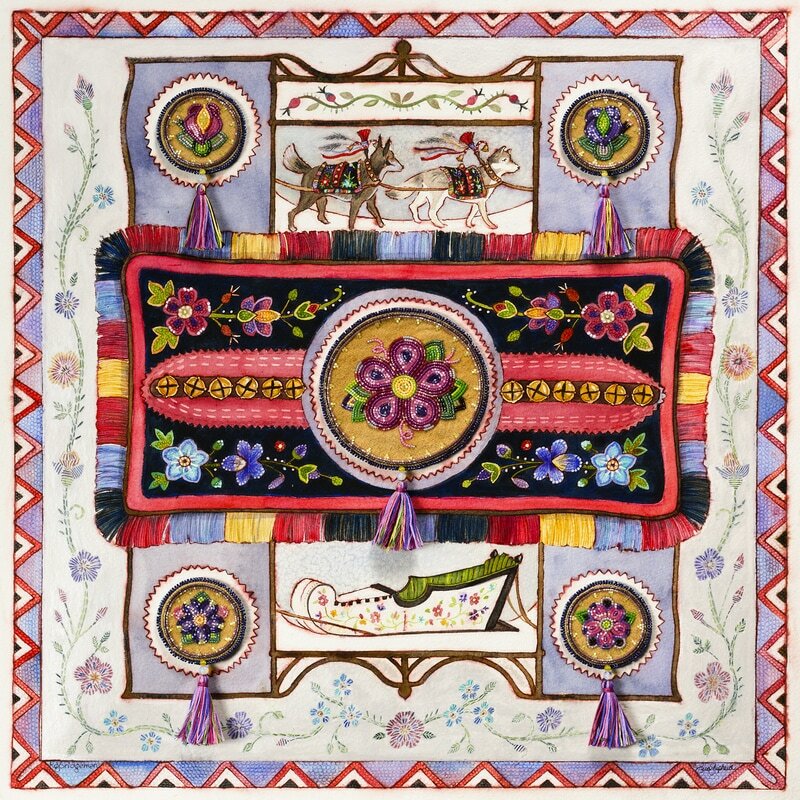 Most have now sold to private collections in Canada, The U.S and Europe. 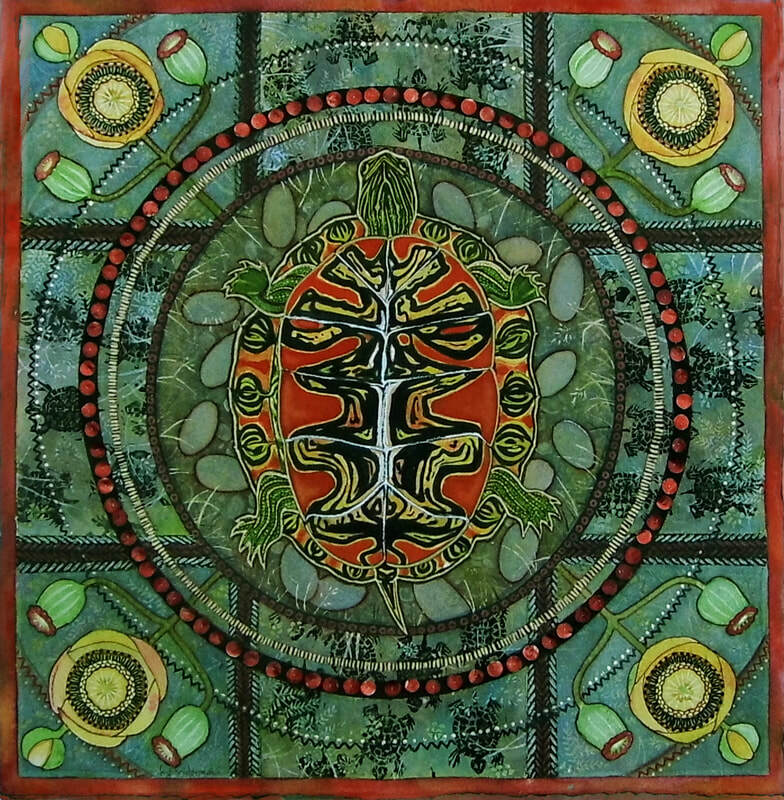 Available works are posted as such. 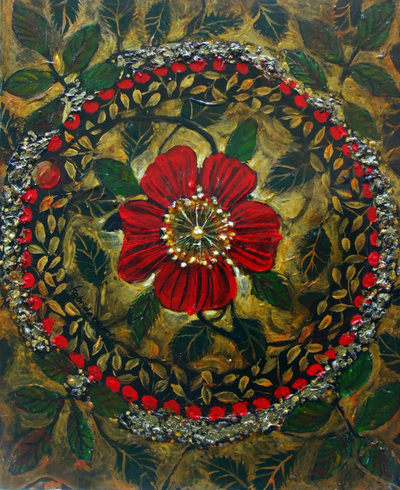 For purchasing information contact the artist.